Posted on 28th November 2017 at 9:00 am. Yet this is precisely the stance the Government is being criticised every day by their opponents (and many in the media) for not adopting. Get a grip Nick Clegg, Anna Soubrey, John McDonnell, Laura Kuenssberg and many more! Businesses in our Country, small and large, need certainty on what the future trading relationship with the EU will look like, just as quickly as possible. Investment decisions, location appraisals, job creation initiatives; they all need predictability on which to take risk and spend money. But, as is becoming increasingly clear day-by-day, Businesses across the EU (and especially those in Germany) are realising that jobs and profits in THEIR countries need that certainty as well. 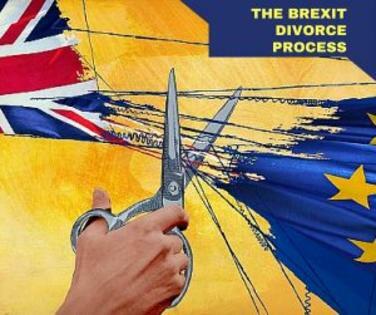 So the time is ripe for a deal to be done in outline on the divorce settlement right now. – We are leaving four years into a five year agreed budget cycle so there’s a year’s “in lieu of notice” payment to be made, less of course the money we would have received from the EU in that year. That’s around a net €20 billion. Then there’s our share of EU’s assets, from Grand Buildings in Brussels and elsewhere to Junker’s amazing wine cellar. That should knock some €3 billion off the price. – There is the thorny and highly emotive issue of liability for the pensions of EU officials past and present. They all get stonking pensions, paid for in part by taxing much poorer people across Europe. The UK says our liability is around €5 billion and the EU says it’s €10 billion. – But the EU wants the UK to pay its share of the long term Budget and outstanding possible commitments years down the line. €665 billion worth with our share being €83 billion! So am I getting this right? We leave the club; we pay our debts and look after our people; and then the Club says it wants a lot more “maybe” and “just in case” money! Not agreeing this (in the teeth of Remoaners and McDonnell saying a deal isn’t being done) is what Michel Barnier (the French EU Negotiator) says is the Brits not knowing how to negotiate! What arrogant obduracy is that! It is only now, when there is a real sense in Berlin (who really call the shots in this) that the U.K. might just walk away with no deal (which would hurt jobs in Stuttgart as well as Birmingham) that the tone is being softened and progress on dealing with this impasse is being made. – It is in the interests of the huge contribution to the tax coffers made by our Financial Services sector (don’t just play the “Kick a Banker” game Jezza, they are the roots of your money tree), in the interests of our exporting car makers BUT ALSO in the interests of French farmers and Italian luxury goods manufacturers exporting to the U.K. that a unique, stand-alone and enduring trade deal is done NOW. Give that certainty that is essential. Not just no tariffs but (more importantly) no delays and bureaucracy at the border. No long truck queues at Dover or Calais. No impediment to the sophisticated EU-wide, integrated supply chains that is modern Business. Should the UK pay something to achieve membership of such an arrangement? For sure. Should the EU (aka Barnier and Berlin) stop thinking in terms of punishing us, setting up an exemplary regime to ensure the Swedens or Hollands don’t follow suit out of fear of the price exacted? For sure. But Monsieur Barnier, you cannot expect us to agree a membership fee before we know what membership rights we’re getting. John McDonnell might want to buy the car unseen, the Liberal Democrats might want to assure you we won’t walk away if you ask too much, but they’re not doing the deal. So we should be paying €25 billion for the exit bill, some €25 billion (paid over time but for a deal that lasts in perpetuity) for a trade access deal, and some €10 billion for the two years of transition that all parties will need to ensure everyone involved in this, from workers in Leeds to farmers in Lyons, don’t have to cope with a sudden overnight shock but can bit-by-bit move into the new arrangement after we have left. That gives you €60 billion all-up Monsieur Barnier, at say €6 billion a year for ten years. So do the deal now EU! Get on with looking forward not backwards, in everyone’s interests. If you don’t, then please believe us, we WILL walk away and spend our money on equipping ourselves to be globally competitive in Asia’s Century. Do we want to? No. Will we, if you don’t start dealing? You can bet your job we will. But then it was never your job at risk was it, Michel. It was the job of a poor young unemployed guy in Athens or a single Mum trying to make ends meet in Madrid. And they no more want you to punish Britain than I do. But they have no choice; we do!